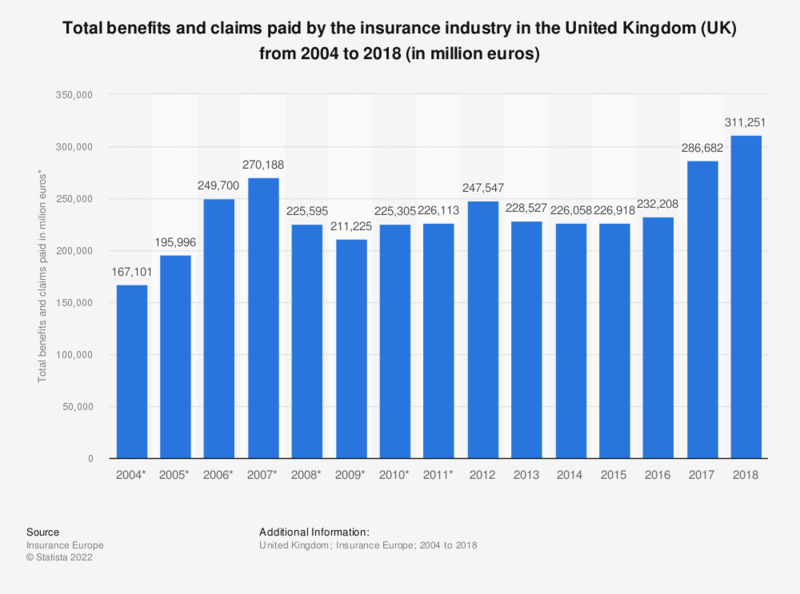 The statistic shows the total value of benefits and claims paid out by the insurance industry in the United Kingdom (UK) from 2004 to 2016. In 2007, benefits and claims reached the amount of approximately 270 billion euros. By the end of 2016 they were valued at almost 230 billion euros, not having reached the pre-recession levels.